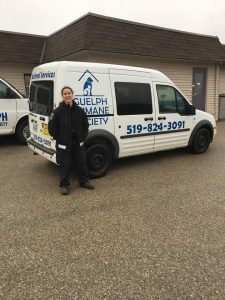 The Guelph Humane Society responds to animal emergencies 24/7 for the City of Guelph, Township of Centre Wellington and Township of Guelph-Eramosa. An animal emergency refers to any animal that is in distress, that is sick, injured, or orphaned, that requires immediate care, that is a stray pet that cannot be safely kept by the finder, or that is posing a risk to public safety. If you suspect that an animal needs emergency care, please contact the Guelph Humane Society at 519-824-3091. If it is after hours, our voicemail will provide you with the number for our after-hours phone service. What is not considered an emergency?